I returned from thru hiking California’s 220 mile John Muir Trail about a week ago and figured I needed to visit the Presidential Range as my first hike back. I did this traverse two years ago in the Spring and it was good to be back! I drove up in the morning and got started right after 9:30 am. My first time hiking it I began at 4:45 am. You can either start or finish in the dark. This time around I wanted to be more rested the night before and hike out in the dark. 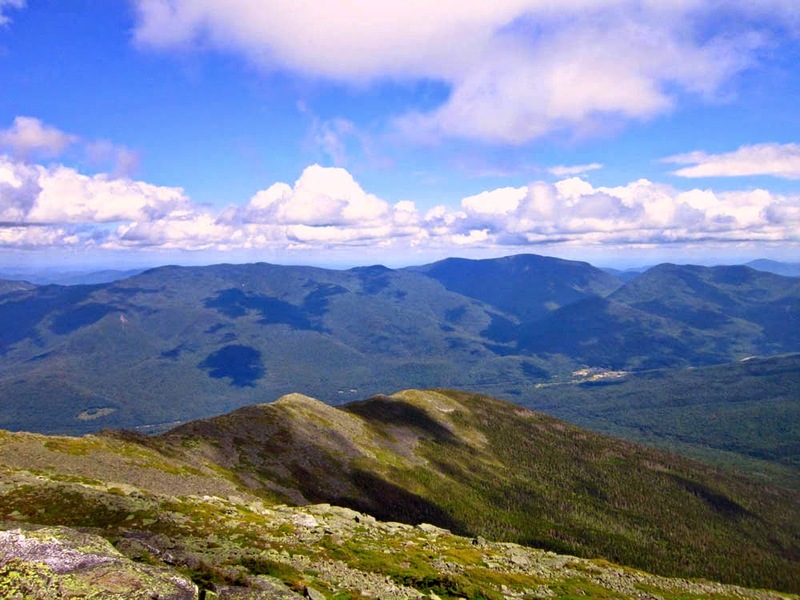 During a Presidential Traverse you gain 8500 feet over just under 20 miles. Going up to Madison, the first peak of the day, you’ll get your first taste of rocky, rough trails and lots of elevation gain. No switchbacks here! Below treeline it was humid and I was ready for the breeze. Just above treeline is the Madison Hut. I hiked up Madison first and then paid a visit to the hut. I got some delicious pink lemonade, ate a rocky road Snickers (my new favorite), and hit the trail. The view from Madison was stunning. I had the perfect conditions for a traverse: not too hot or humid with a slight breeze. While the whole traverse is rocky, the Northern section is especially difficult. You will constantly be balancing on rocks and without a doubt, find some loose ones in the process. I like to plan three steps at a time. Deciding my next few steps ahead of time makes me less susceptible to missteps and taking a less desirable route. This is the actual trail. 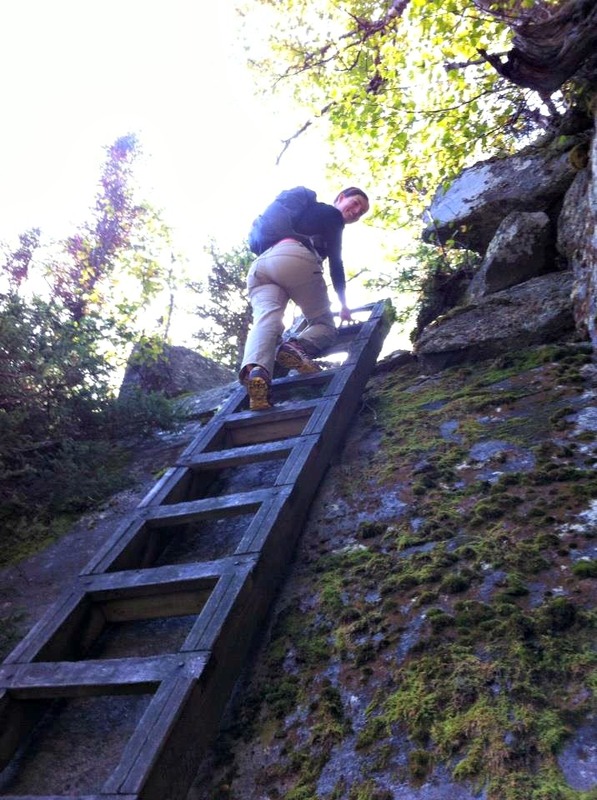 No soft soil up here; you’re in the granite state! On Mt Adams, one of the coolest summits in the Whites standing tall at 5793 feet. Up next is Mt Jefferson and Washington. Keeping my pack weight down and taking micro breaks helped me stay moving on this trip. A Presidential Traverse is not official if you skip summits. Many of the summits have routes around them or they are on side paths. If you think the view from Valley Way is nice, wait until you climb another 200+ feet! Getting up to Mt Washington is a long and difficult stretch. Last time I really felt it going up and took some longer breaks (and dealt with a LOT of fog). This time around, I felt strong and really enjoyed the elevation gain. You have to like steep trails to be up here! There were two trains coming down as I neared the final push up to Washington. As you close in on the summit, you can’t tell how crowded it is until you make your way all the way up. Only then can you really see the cars, lines of people at the summit sign, and tourists walking around with coffees and jeans. Once atop Mt Washington (6289′) I got in line to get my summit picture and enjoyed some trail mix. You need to multitask to get the whole traverse done! I spent about 40 minutes atop Washington before I began the southern half of the traverse. Rocky, but more predictable footing on the southern half of the traverse. Although Lakes of the Clouds was filled with hikers and tourists, it was very peaceful right outside. I didn’t pay a visit inside, but instead enjoyed the views of the beautiful alpine lake. Monroe was an easy peak for me on this hike. I was really enjoying the views and my trail mix. Once I reached the summit, I shared it with two giant ravens. I was in good company! The sky was absolutely gorgeous from Eisenhower (4780′). I felt very lucky to have these mountains so close to me. I made it to Mt Pierce (4310′) in the dark. I already had my headlamp on and was ready to descend down the trail. The Crawford path, although very wet and muddy) is very easy to follow. Soon after Pierce an owl flew across the trail and landed on a branch. 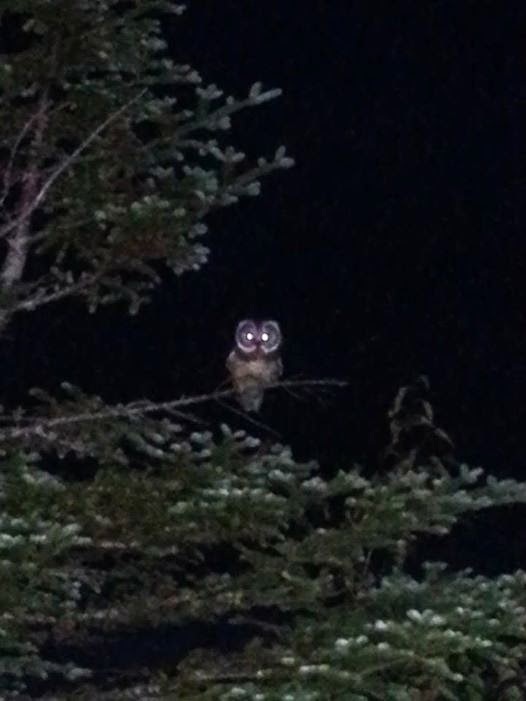 My camera’s flash wasn’t on and the owl left the branch. It landed a few feet away and hung out for quite some time. After a few pictures, I headed down the trail, leaving my new friend to enjoy the trail. I stayed at the Highland Center and took the shuttle back to my car the next morning. I realized after my hike that I officially completed round 2 of the NH 4000 footers. Because of the order I did them in I should complete round 3 this fall! I beat my first traverse by over 3 1/2 hours (first time I had never never been on the Presidentials and took 15 1/2 hours). The following day I didn’t hurt. The only thing that really gets you in shape for hiking is just to hike! My JMT hike (along with all the 4Ks I had been hiking the past couple years) really prepped me for this hike. That’s a great storyline, thanks. You are a great inspiration.Thank you for your Presidential travel post. Very concise with beautiful pics. I just did the traverse last weekend. We did it over 2 days with five more team members. One team member got sick and few others were slow and hence we had to skip over 3 of the summits. We were carrying a 25 pounds back pack. I want to do it again in 1 day. I want to go ultra light. I want to know how much of supplies and water did you carry? How much your back pack weigh? Also, were you wearing hiking boots or is there some other light weight alternative. I would really appreciate if you could email me back. I want to do it this coming weekend. Small world. Followed your gear link and saw photo credit to Jabba (The Real Hiking Viking) … or as I’ve known him, Tom. Tom graduated from the high school where I taught. I will be back up in the Whites for some mtn biking and solo backpacking later this month (Aug 2015). For the last decade I’ve only visited the Whites in winter – not much good ice here in PA. It will be nice to be there in warmer days. 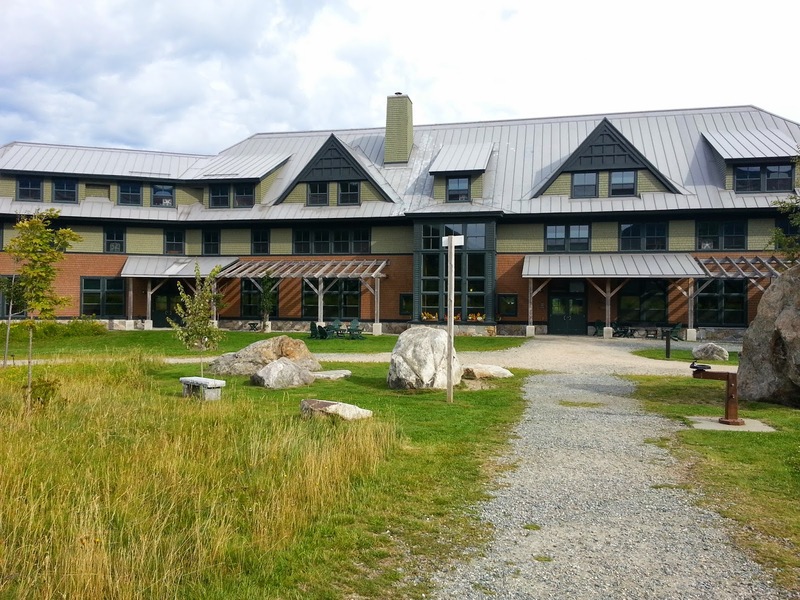 After doing the Pemi Loop, I plan to finish my trip with the Presi Traverse … maybe I will see you on a trail. You are an exemplary model for today’s youth … continue to enjoy the outdoors! It really is a small world! He’s done far too many miles since we hiked together so I’d never be able to keep up! I absolutely love hiking in the whites in winter. Sounds like you visit for the ice climbing? It’s gorgeous in the warmer months but far more crowded now unless you know where to go! Happy trails! Hey Allison – We’ve hiked together a few winters ago. You’ve got great energy! I’m doing a late-late-summer-almost-autumn Presi Traverse the first weekend in October and your blog post came up in a search for more statistical data points. I may hike with a “partner”. (We’ve agreed to be independent but start together in hopes to encourage uphill momentum / strength in numbers.) My hiker buddy is insisting that a 3AM start is normal and is talking like we’ll be walking long into the dark hours at the end of the day. Now, I really love nocturnal adventures in the forest but I just don’t anticipate needing more than 13 hours from start to finish. Can you speak to this at all? What shuttle did you take back and where did you park your car? Just curious, did you use a map or how did you know where to go, especially in the dark?